With the increased awareness about women empowerment and the urge to bring women up front has bring forth many important issues. Be it their safety, their equal rights or their education. Understanding the actual meaning of empowerment however has become very subjective. According to ‘Chetana conscience of women’ the empowerment begins from knowing about your own body and respecting it. As we all know, in our society, discussing or talking out about periods/menstruation is a big taboo. Not only boys, but girls also feel uncomfortable talking about it in public. Also, there are several myths attached to menstruation. The beliefs of elderly people are being taken forward by the next generation. However, the truth is, most of it, if not all have no scientific logic behind it and are still being followed by girls blindly. For instance, not talking to boys when you are in your periods, not going to the temple, not touching anything in the kitchen and so on. Keeping all these pointers in mind, we targeted 5th-8th standard girls. 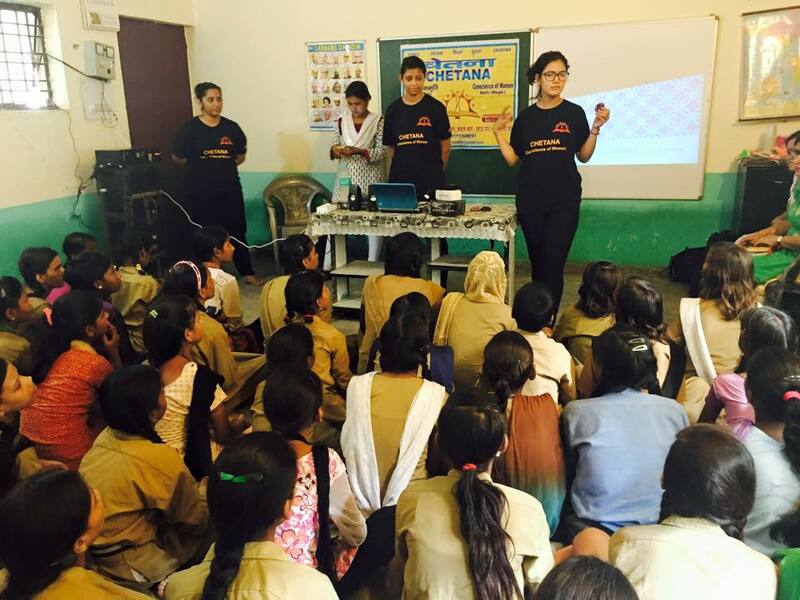 The main objective was to make them understand how menstruation is a natural process, why is it important to have them and what are some myths and facts attached to it. 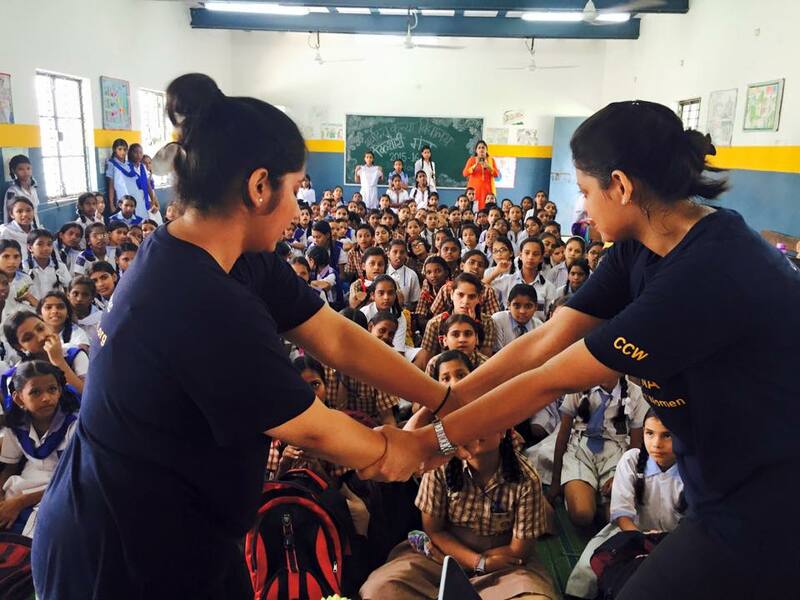 Now, the next focus was to make them aware about ‘being responsible for your own safety’. Very easily we blame our society, our government and other men for women being un safe in India. The blame game has always been very easy to play but, the truth is women are equally responsible for their own safety. Little precaution, little awareness and little presence of mind can keep you safe. Therefore, the objective was to talk about the need to be aware about safety tips and make them aware of the different ways to keep themselves safe at home, school, outside home. At the end of the session, it was seen that not only girls but teachers also felt more aware and had a lot questions to ask related to periods and safety. Empowering may not always mean to raise your voice against the crime but, also to work at the root level to improve their hygiene, to make them more self aware and street smart. < Meenakshi – The girl who was stabbed to death for resisting Eve teasing in National Capital .